Analyze your battery and charging system quickly, safely and accurately. 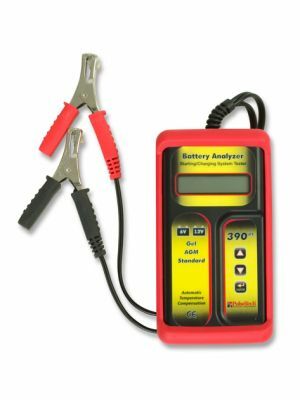 An absolute necessity for your battery shop or maintenance bay, the 390PT uses patented single load, dynamic resistance technology to completely analyze your battery and charging system quickly, safely and accurately. You'll provide better battery maintenance by locating the 6-Volt and 12-Volt vehicle batteries or 12-Volt and 24-Volt starting systems that require attention while still in the vehicle. Find battery issues before they become problems.